This is our Expert Advisor base on research over the Internet. This Expert Advisor use RSI check TF 1 Hour and for execution, Install it at TF 5 Minutes (double Check 24 last bar), It's code contains CCI Filter as consideration for Long or Short Trade. When the market turned to wrong direction, expert advisor will double it lot in the same direction, until all the losses on the OP before it will be covered. This EA include News Management, so it doesn't trade when there is high impact news. 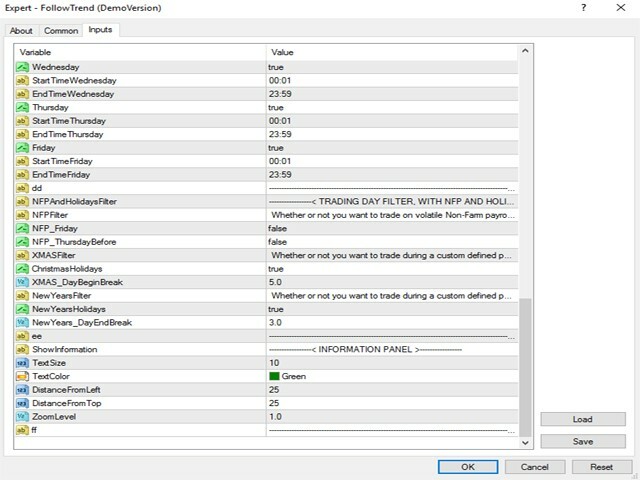 It's Also Has Day and Time Filter so you can choose when to Enter the Market and Trading Day Filters (Whether or not you want to trade at day or night), With NFP and Holidays Filter so Whether or not you want to trade on volatile Non-Farm payroll Friday and Whether or not you want to trade during a custom defined period in December, during the low liquidity of the Christmas Holidays and Whether or not you want to trade during a custom defined period in the beginning of January, the low liquidity of the New Years Holidays. It's Also Has Hidden TP and Hidden SL, so Your Broker can't See where you Put your TP and SL Line. rsi- Dynamic calculates the price range between High and Low over the lat few bars. 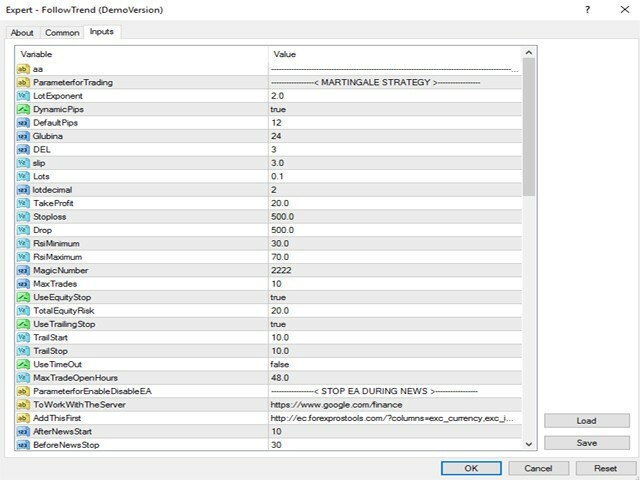 The parameter indicates how many bars to use for such a calculation. DEL - The ratio indicates what part of the price range to use in order to define the next Buy or Sell level. RsiMinimum - If RSI is below the current level, Buy trades will not be performed. RsiMaximum - If RSI is above the current level, Sell trades will not be performed. We Strongly Recomendated to Install this EA on TF 5 EUR/USD pair, Deposit Minimal $200 USD Leverage 1:500 and Lot 0,1. use your own risk if you want to trade to the other pair and the other Setting if you find this EA More Profitable on the other Setting. We will not refund your money, because of financial losses brought on by This Expert Advisor. 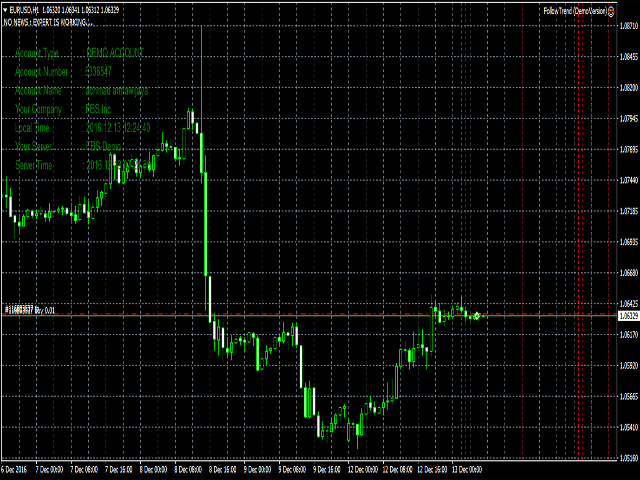 You should be aware that Forex Trading is very high Risk. USE THIS Expert Advisor on Demo Account First. If You Are Confident and Find New highly precise setting you may purchase this Expert Advisor. 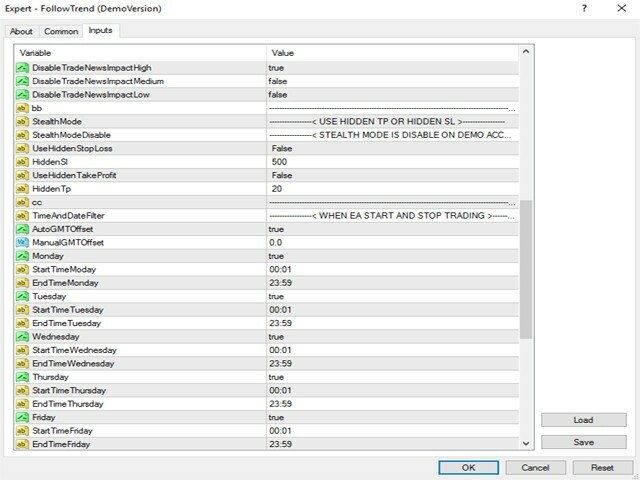 You must "Restart" this EA, every week on every Monday because the schedule of news in investing.com issued once every week. Please contact us if you have difficulty in installing this Expert Advisor.